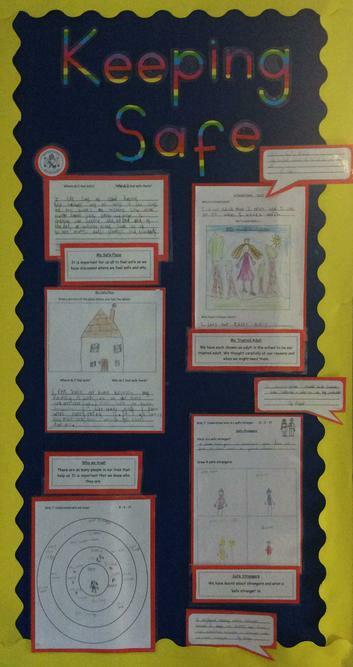 This term, we have been looking at 'Keeping Safe'. The children have learnt about the dangers of strangers and are now aware of who is a trusted adult. We know that we can always talk to the adults at school and at home. We know who our trusted adults are at school and what to do if we are worried! We have also been looking at what makes us special. We discussed different emotions and when we might feel these. We were able to identify the positive aspects of each other and shared what we like about them. When we looked back over our year, we could find what we have each achieved and feel proud of ourselves. We have even set ourselves a challenging goal for the exciting year ahead!